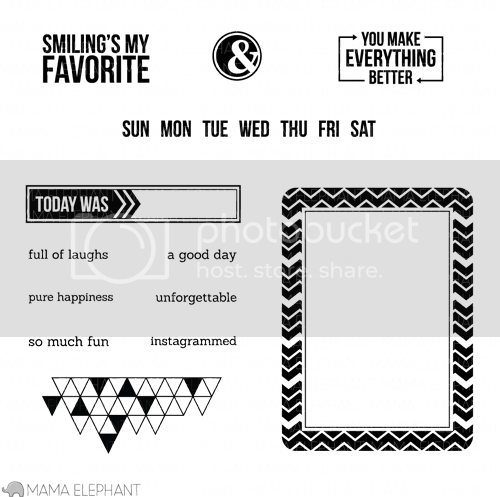 mama elephant | design blog: March Stampede and Release! Welcome to the Mama Elephant March Stampede! Our February release is now live and available for purchase in the store HERE. To celebrate the new release, Mama Elephant is giving away 3 gift certificates worth $20.00 each to 3 lucky people! Winners will be chosen at random from the collective blogs in the Stampede. Winners will be announced on the blog on Monday, March 18th. Winners have 48 hours to claim their prize. Here's my card for the Stampede... I used Today Was and Lovely Mums. Let me formally reveal our February 2013 stamps! Awesome stamps love them all!!!! once again - a fun release! Wonderful release...the hop will be fun! Love this release! Already placed my order! Can't wait for that package. I'm already a follower here!!! Can't wait to get my hands on these sets! I am a happy blog follower! I'm a FB liker, and I shared about your new release. I don't have twitter though, so I didn't tweet, sorry. I already 'like' you on FB, and I shared too!!! Like you in FB too! Luv all your stamp sets!!! Beautiful new stamps, thanks for the chance to win! I'm now a FB fan, too! What a FUN release! I love it! Already following your blog and big BOOOO on the Google Reader thing. These are such awesome new sets!!! Tweeted about the giveaway : https://twitter.com/Elliesworld/status/312633696769413120 Thanks for the chance. What a fun release LOVE IT! These are Fabulous! Congrats on another amazing release, off to go hop! I of course follow you! I'm a super fab on fb too! Love the full reveal. Fantastic release! Off to check out the designer blogs. Love, love the florals and arrows especially. 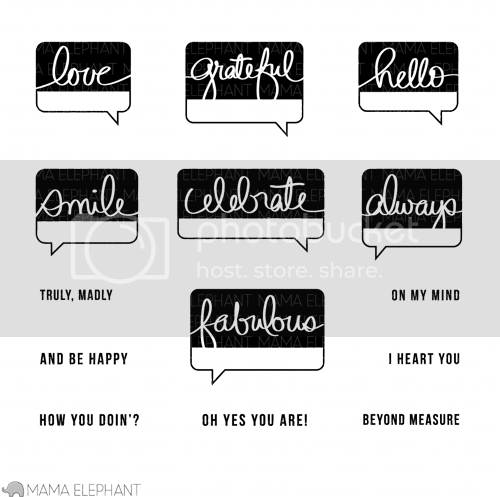 I'm loving the speech bubbles in the Hello set. Must get these! I am already a blog follower here! Like and shared on FB too! Oh my! What a fun release! what an absolutely beautiful card!! i love the peal accents and the way you used both flower stamps! What fun stamps! So many possibilities! Already like on FB! Off to share! And of course I already follow on Google Reader, but I've added myself as a follower here too. Oh and I totally shared on FB, where of course I have liked you since the dawn of time! Very pretty--I like how you used the frame stamp. Can't wait to see what your DT comes up with! Already following by email and on Google! The Feb release looks fabulous! I can't bring myself to leave multiple comments, but that doesn't reduce the amount of love I hold for Mama Elephant! I have been a blog, FB, and Twitter follower since the beginning. Already like you on FB and just shared! What a fabulous release!! Love all the sets! Fabulous releases, Kryssi! These sets are so fun & awesome. Love them! I already follow your blog (and import it to my Google Reader replacement). I am also already a fan/like on Facebook (under my real name of course). Ooh! I adore the color palette and the way you stamped that flower! It looks so much like letterpress. I'm also a blog follower who's looking for a good Reader replacement. But I don't often miss ME updates because I also liked the Facebook page! I love your card, Kryssi! The colours are so pretty. Thanks so much for inviting me to guest for you this month!! Amazing! Love the technique. Love the card! Thanks for sharing the ideas!! Another fabulous release! Way to go! Oooh, I love these sets! And what a gorgeous card! I like and have shared you on FB. Such a great new release. 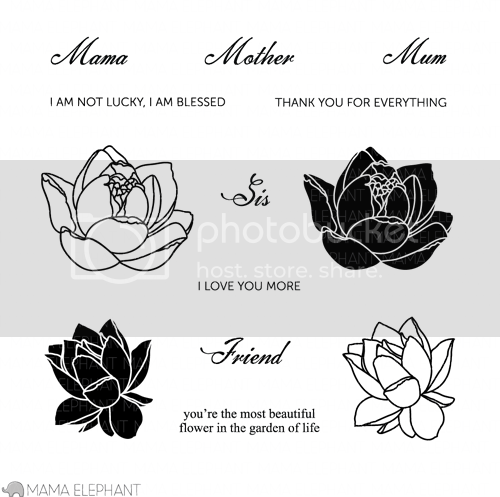 LOOOOOOOOOVE your card---beautiful combo of stamps from each set! LOVE that flower!!! Love that you have a masculine stamp set....a definite must have for me with all the males in my life!! I am now follower #210 and I signed to follow by email as well. I don't want to miss a thing. I just liked you on Facebook...#862. Hey you are getting popular!! The Papa Love set is so very cute! I really don't own any masculine stamps and I really should. Hi! I am a subscriber! Great hop! Loved all the work by the team! Thanks so much! Hi! Also liked you on Facebook! Aww, yeah! I love these stamps! I'm already a Facebook fan! I'm also already a blog follower, using Blogger. I'm going to go Tweet about your fun giveaway! Crossing my fingers!! 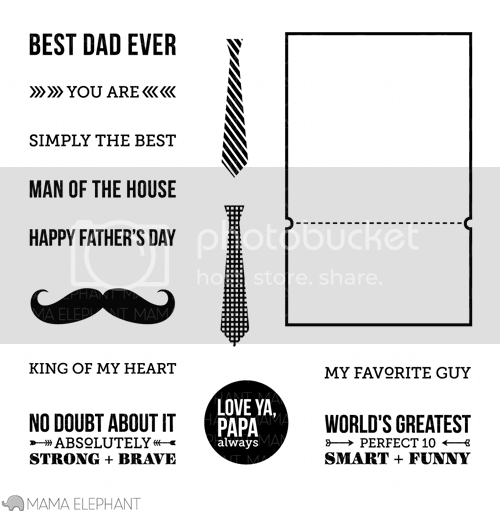 I love Papa Love - what a great stamp for the guys! the others are pretty spectacular as well. I love the chevron frame and clusters of pearls!!! Sweet card!